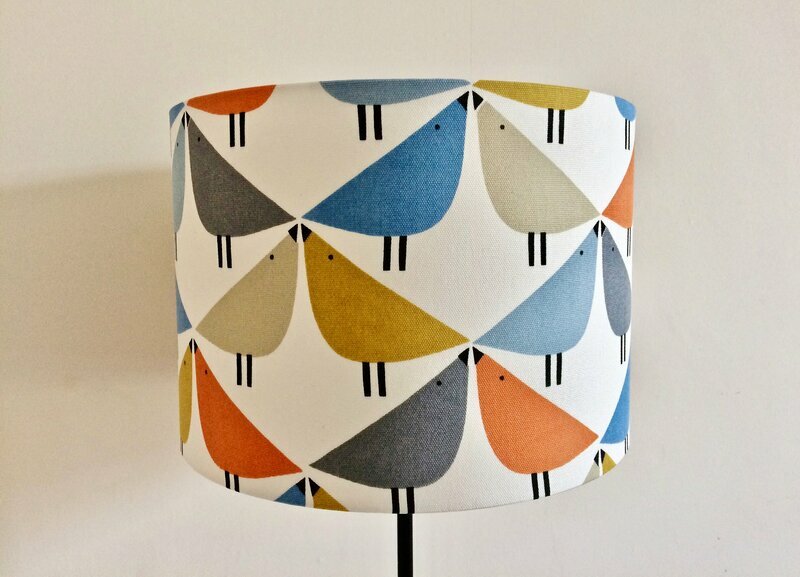 This month, We've been chatting to Christine from Curious Owl Shop. Inspired by natural constructs and landscape, Christine designs and creates anything from wedding jewellery and engagement bands, to mountain range necklaces and birthstone stacking sets. Tell us a bit about yourself and what you create. I’m a jeweller and artist. Most of my designs are sterling silver, with a focus on stackable rings and personalised pieces. Aside from jewellery, I also dabble in printmaking, and paint whenever I have a spare few hours. I opened in 2014, which seems so long ago! I was inspired primarily by lack of money! I had a part time job and I knew I wanted to work for myself. It had to be something creative, and I had always been obsessed with buying rings, so I plunged all of my savings into my first silversmithing kit. How do you balance your business and personal time? 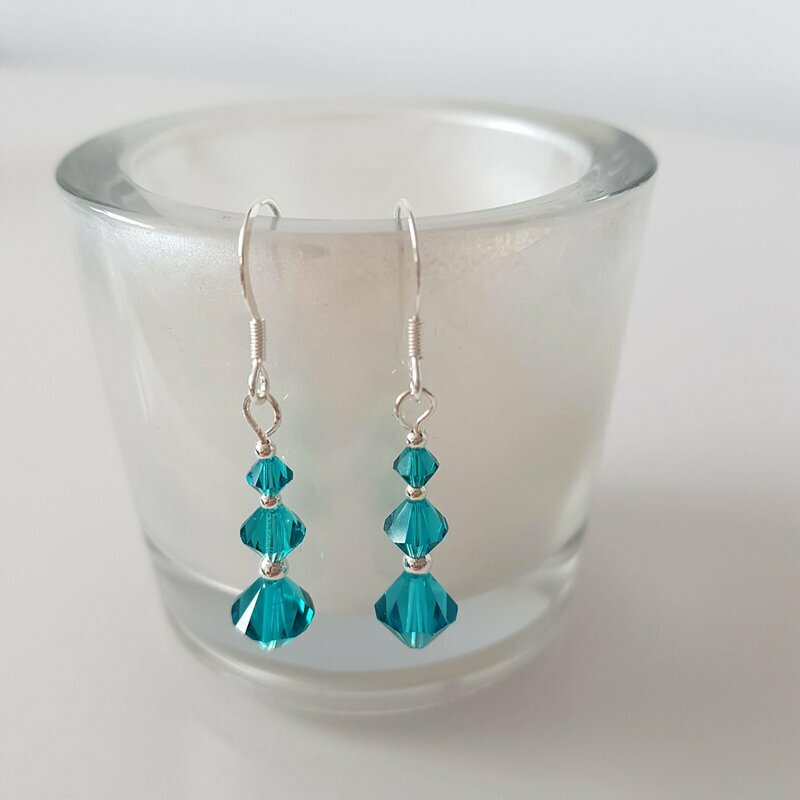 Jewellery is full time for me, and being self employed means I have a lot of flexibility. I’m often able to work around the schedules of my friends, which is great. Tell us a bit about where you work… Do you have a dedicated workspace, office or workshop? I've just moved to a new space in Liverpool, 104 Duke Street Studios. It's great to be around other artists and be inspired by their work. The building is right in the centre of Liverpool, so there's lots to get involved in, and plenty of coffee shops to keep me going during the busy periods! I would be lying if I said it was 9 to 5. I’m not an early morning person, so I prefer working later. My hours can range from 10am – 7pm or into the late evening during the festive rush. I can be found answering emails at midnight – not something I would recommend! Tell us about the way you work, do you work on one product at a time or do you often have more than one project one the go? Usually, I have at least 50 orders on the go at any given time. Since everything is made from scratch, I made the decision long ago to work in stages. I cut all the material for each order, then I solder all the designs, shape them all to size, then finish and polish them all. This works well, and allows me to get orders out a lot more efficiently. Usually the people around me. I love being outside whenever time allows, so that can be a great way to wind down and clear my head creatively. Social media used to baffle me at first, but now I find it's a really useful tool to connect to other makers across the world, which gives me a boost to keep creating. What is your favourite creation in your Etsy shop and why. My favourite design changes on a daily basis, which is probably why I have so many. 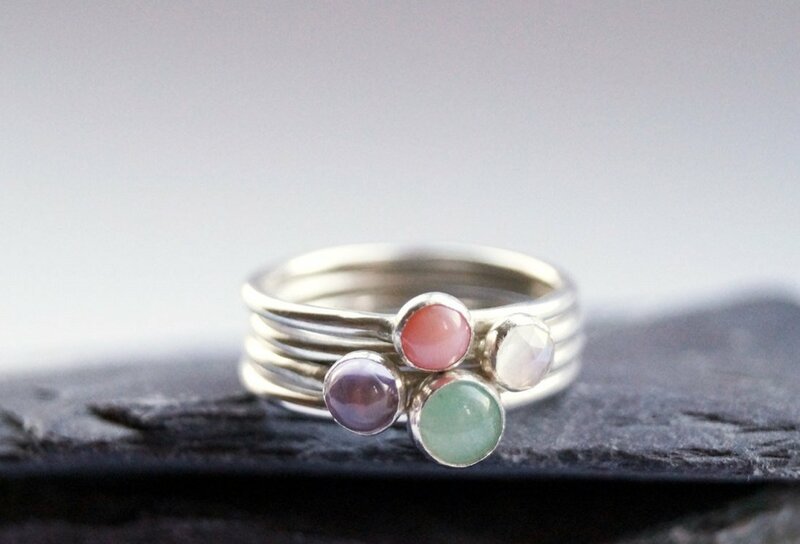 If I had to, I’d choose the first stacking set I created, as those were the first rings I ever sold! Finding a studio that I love was definitely in the top ten. It allowed me to expand and saved me from some serious cabin fever, having previously worked at home. I also just hit 10,000 sales, which is something I'm still trying to wrap my head around. Definitely the flexibility. I couldn’t imagine having to put on smart clothes and go to an office anymore. Scruffs and a brew is more my style! At the moment I’m trying to wrap my head around film photography. I’ve had real fun experimenting so far, but I need a lot more practice. What music/ podcasts are you listening to at the moment? Podcasts are more my thing, as music tends to make me drift off a bit. Stuff You Should Know and Criminal are my top listens at the moment. What advice would you give to anyone who’s thinking of opening up their own Etsy shop. Research as much as you can – there’s a lot of behind the scenes stuff that you don’t think about, because the creating part is so much fun! With the power of hindsight, I would suggest joining an Etsy team ASAP, take all the advice you can get from other sellers, and don’t neglect the financial side of things. Put your all into it, and it could be the most rewarding thing you’ve ever done. What has been the best advise someone has given to you? Talk to other creatives. It’s okay to ask for help if you need it, and chances are someone else is in the same situation. Do you have any future plans in the pipeline that you can share? I've recently started working with a maker who creates their own stones, and so far that collaboration is proving to be really exciting. 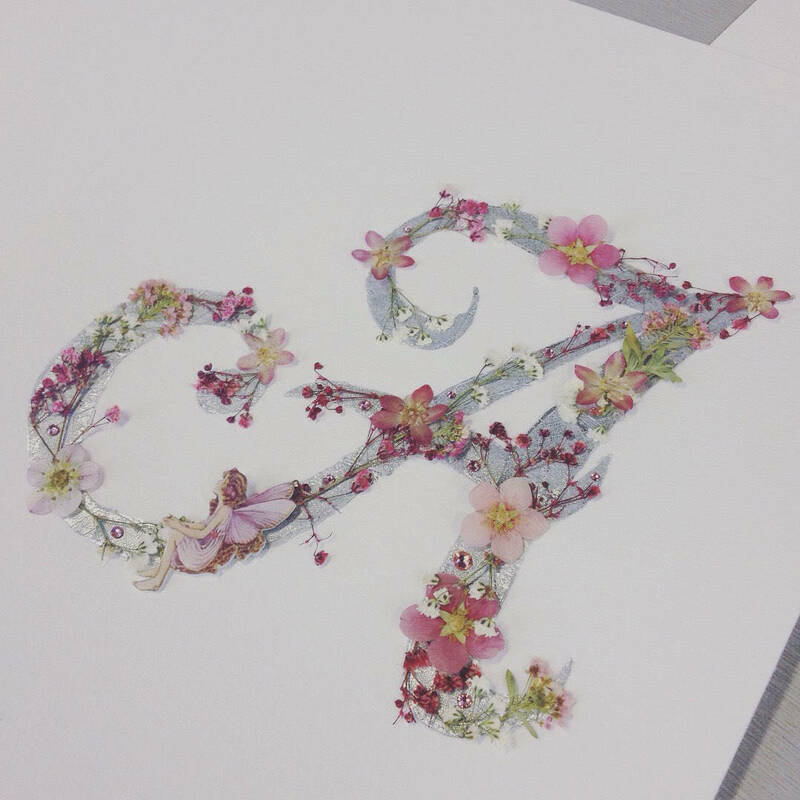 I love to take on bespoke commissions, and luckily this seems to be something people are looking for more and more. Custom pieces are something I'm really excited to do more of in the future! I used to have a pet pygmy hedgehog! He was very cute, and an excellent business partner. Better late than never right? We're back with a few highlights from last months intake of new team members and we're really looking forward to getting to know them and their work better! 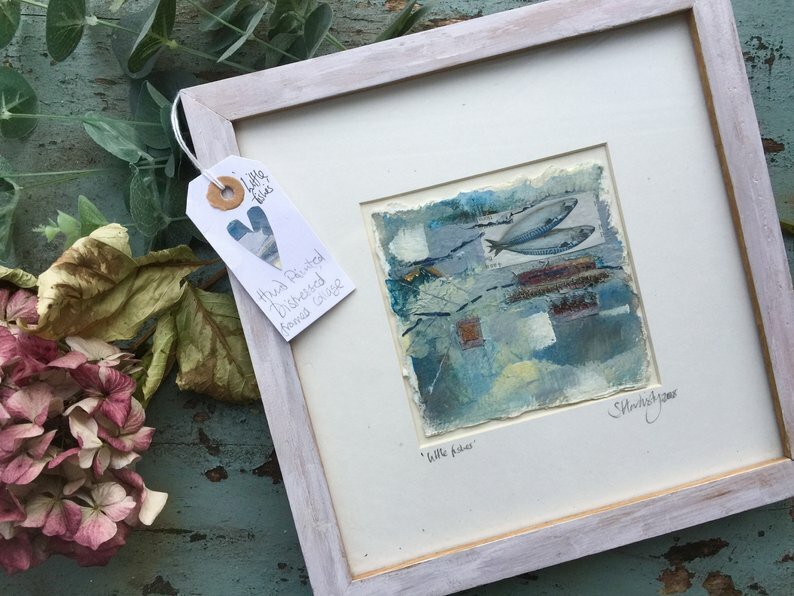 Head to Sophie's Emporium to find something beautiful and unique for your home, like this ready-to-hang mixed media framed piece. Wirral based Cara has all sorts of lovely items for the mums and dads out there in her shop Teddys Bspoke Gifts. 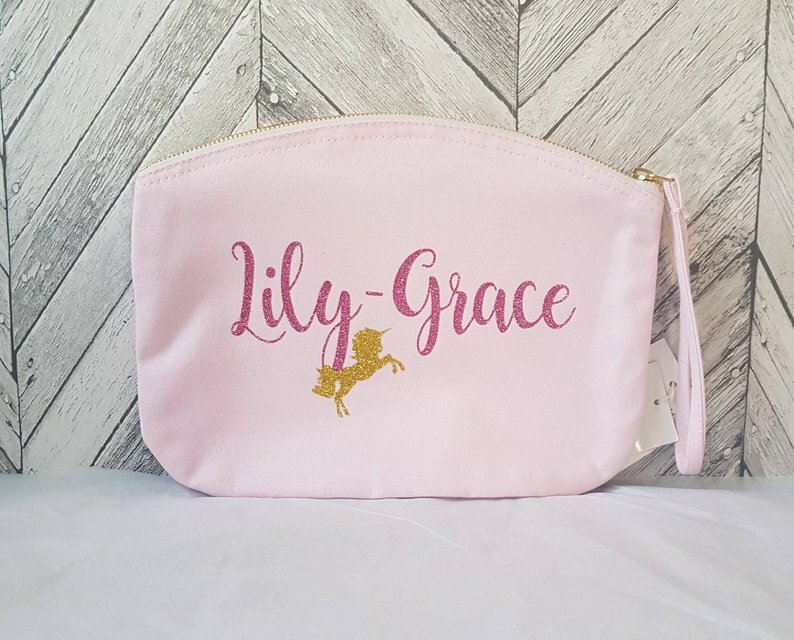 We love these handy pouches, all made with organic cotton and finished with that fab sparkly vinyl lettering! 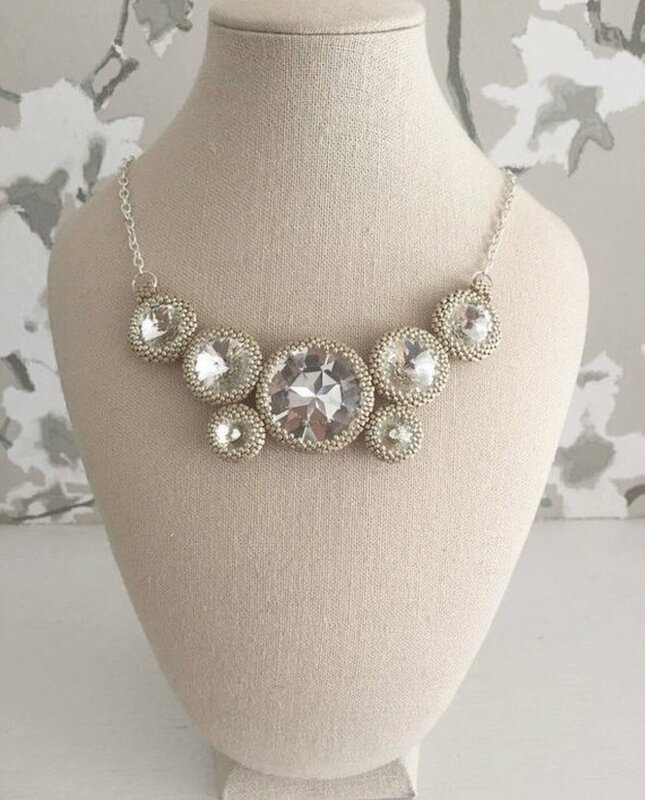 Theia Jewellery's beaded Swarovski crystal pieces are absolutely stunning, and can be made to order in your chosen colours too. 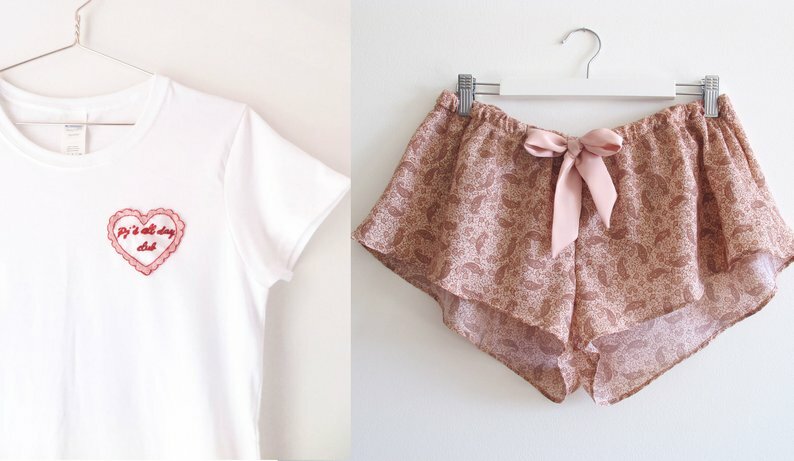 Obviously the Mersey Etsy Team is the best club to be in, but the PJ's All Day Club comes a close second and what better pj's to spend all day in than some handcrafted pieces from Gemma Hill Designs?! 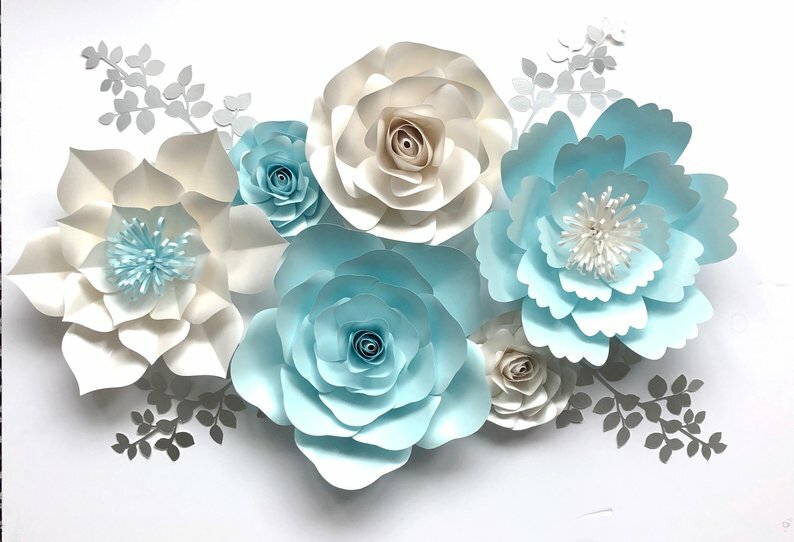 Dear Amy Gifts has a whole host of beautiful decor pieces in store but we love these paper flower arrangements, available in lots of different colours too! Welcome to the team everyone! We look forward to seeing more of you in 2019! This month, we've been chatting to Rachel from Red Acorn Interiors. I'm Rachel, I live in a small village called Little Crosby just north of Liverpool. I'm originally from New Zealand, but have lived in England for 15 years now. I have a sales/marketing and advertising background but after moving up from London I became a stay at home Mum. When my youngest started school I knew I wanted to go back to work but didn't like the idea of working in an office anymore. 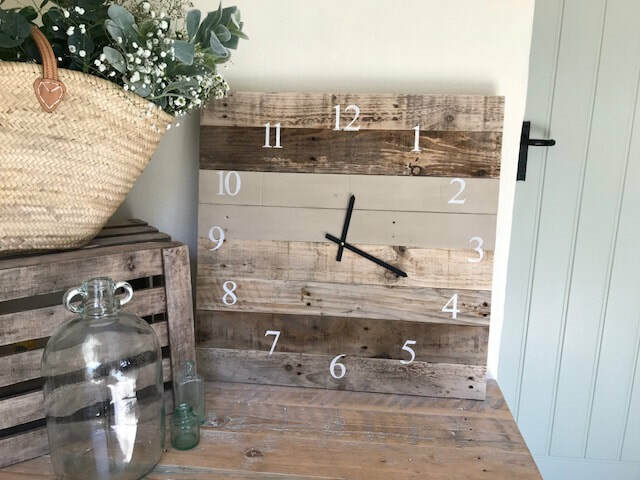 So I started Red Acorn Interiors, I make rustic items from old wood, pallet wood and log slices. More recently I've been making a lot of wedding accessories and personalised wedding signs and boxes. I actually opened my Etsy shop back in 2015, but didn't do anything with it. I had no idea what I was doing. During my first two years of making I did a lot of craft events and markets, some were great but the majority were a lot of hard work for not much return once all the expenses where taken into account. On the plus side I learnt a lot, I found out what people liked and experimented with lots of new products and found my own style. 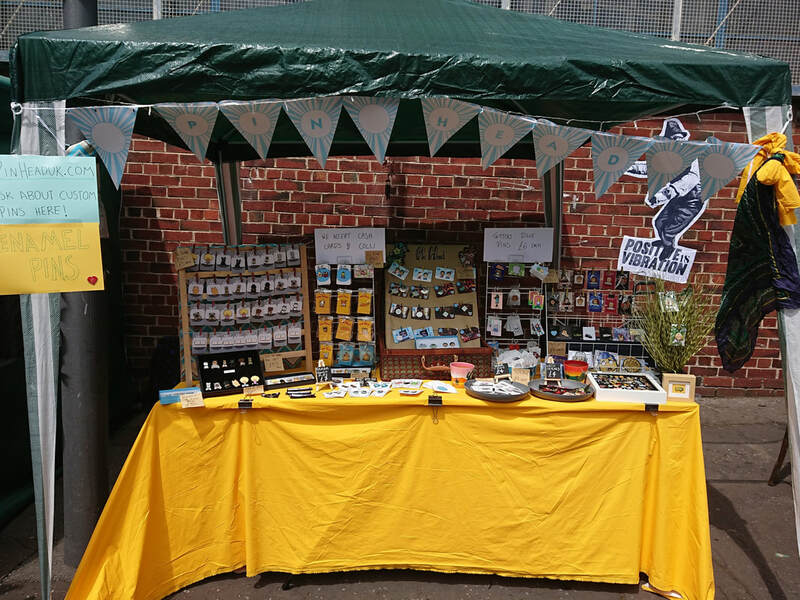 But the best thing about doing the markets was that I met so many other makers, so many like minded people, who had so many of the same experiences as me and who were all passionate about what they made. 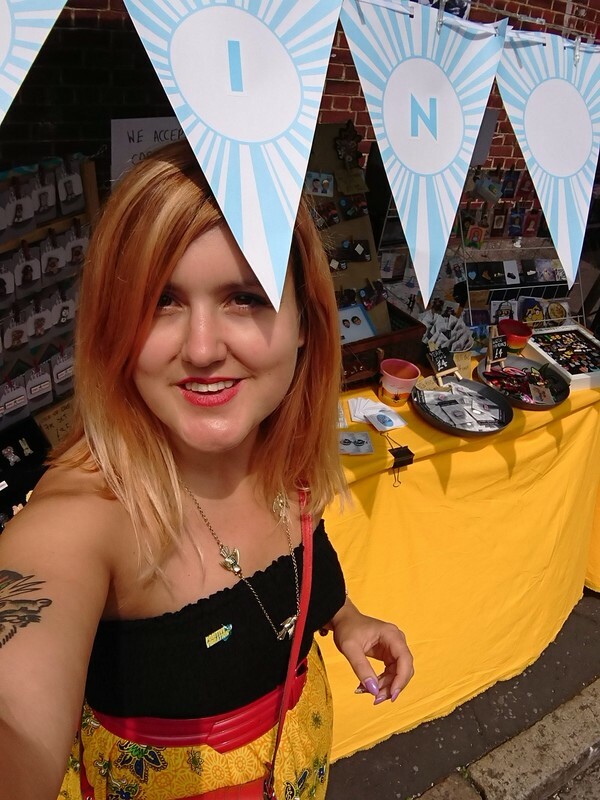 It was at one of these markets that I met Jenny from Presents Felt who is an Etsy Team Leader, she asked me if I had tried Etsy, I explained that I had opened my shop but I didn't know what I was doing and also I didn't think it would work for me anyway. Everytime I saw Jenny after this she kept on encouraging me to give it a try. Despite having a really great Christmas season in 2016 with some fantastic events I felt a bit deflated and unsure about where my business was going. I knew people liked my products and I knew who my target audience/customers were but Liverpool based events didn't really have a big enough reach. I had talked to a lot of people who were on Etsy and all highly recommended it. So in January 2017 I decided to give Etsy a proper go. 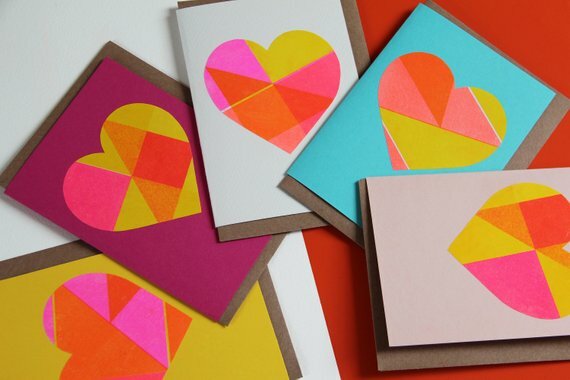 ​I joined the Merseyside Team on Etsy and contacted Jen, she suggested I come to the February daytime meet up. She met me beforehand so I didn't have to walk into the meeting by myself (this was brilliant). The meetings have been invaluable for advice, tips, knowledge and also just meeting up with other sellers. 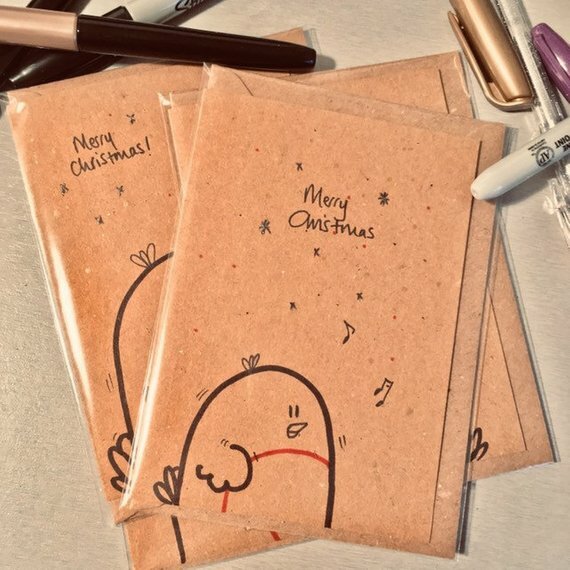 I also took Becka Griffin's selling on Etsy workshop which really helped me with how to effectively sell my products on Etsy. Balance is something I'm constantly struggling with, I fit my work around my family, so that means, school runs, dance, swimming and drama classes etc. I do hours during the day but a lot of the time I work at night too, after my children have gone to bed. I also find the time to exercise too, this is really important for me as it help with my stress levels, I know that even when I'm really busy I will still probably be more productive if I take an hour out to do a spin or yoga class. The great thing about being self employed is that I can go to the gym during the day or take a day off when I want. I really enjoy what I do, so I don't mind working in the evenings and weekends, it can be hard at times but all the positives definitely outweigh the negatives. My husband is self employed too so we both help each other with our businesses. Tell us a bit about where you work. I'm very lucky that I have a workshop attached to my house, it was a very old stone pig barn many years ago and until recently just used for storage but a few years ago we fitted it out with workbenches, electric and even underfloor heating. I love writing lists, and I use a weekly planner as well, everyday is different, I rarely spend an entire day in my workshop, I'm in and out. I find the Sell on Etsy app on my phone really helpful for managing my orders too. ​With the app I can send messages, create custom orders and add new items anywhere. This is really good when you have little pockets of time, you can still be productive without devoting hours to it. I don't tend to work on just one thing. A lot of my things need drying time and I make things in batches, its not time efficient to get the saw out for one thing. I love nature and being outside, walking in the Lake District, strolling along our local beach. I love beautiful interiors & architecture so I spent a lot of time reading magazines. 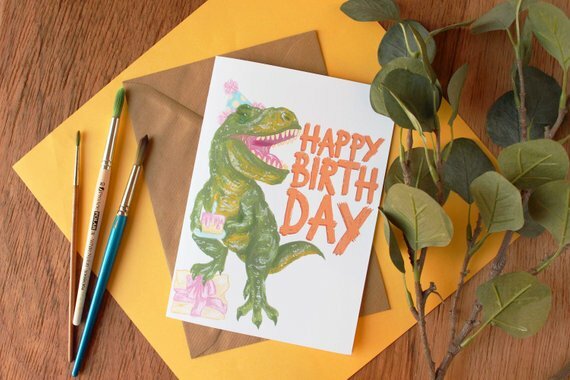 What is your favourite creation in your Etsy shop and why? My clocks are a favourite, as they are functional as well as decorative . But my Card boxes are a favourite too as I have now sold over 200 of them. I love the recycling and upcycling aspect with the reclaimed wood. Being able to make things out of stuff that people no longer want. It makes me laugh sometimes to think that at someone's wedding one of my welcome signs or boxes was actually a dirty pallet from a building site only few months earlier. I feel I'm a little late to the party with podcasts, i've recently started listening to Sara Tasker from me_ and_Orla after I found her on Instagram and then and that has led onto Emma Gannon, Jen Carrington and lots of other inspiring woman. ​I love how they all champion and support other woman and have given a platform for many successful woman to be heard. When its late at night and I'm in my workshop I need cheesy 80s music to keep me going though. Give it a go even if you think it won't work for you or your products, don't be afraid to ask other experienced Etsy sellers for help or advice. What has been the best advice someone has given to you? I read an interview a few years ago with someone creative, I can't even remember who it was but what she said really stuck in my mind. Stay true to your own style and use that to help you establish your business and your brand. Everything I make is something that I like and would have (do have) in my house. So many people have said to me you should make this or you would sell loads of this but I have always tried stick to my own style. Its probably changed and evolved over the years but the essence of what I like and how I present my products hasn't really changed that much. ​Being able to love what you make definitely helps for the longevity of a business. It creates a style that people begin to recognise as yours and can often mean you have returning customers. 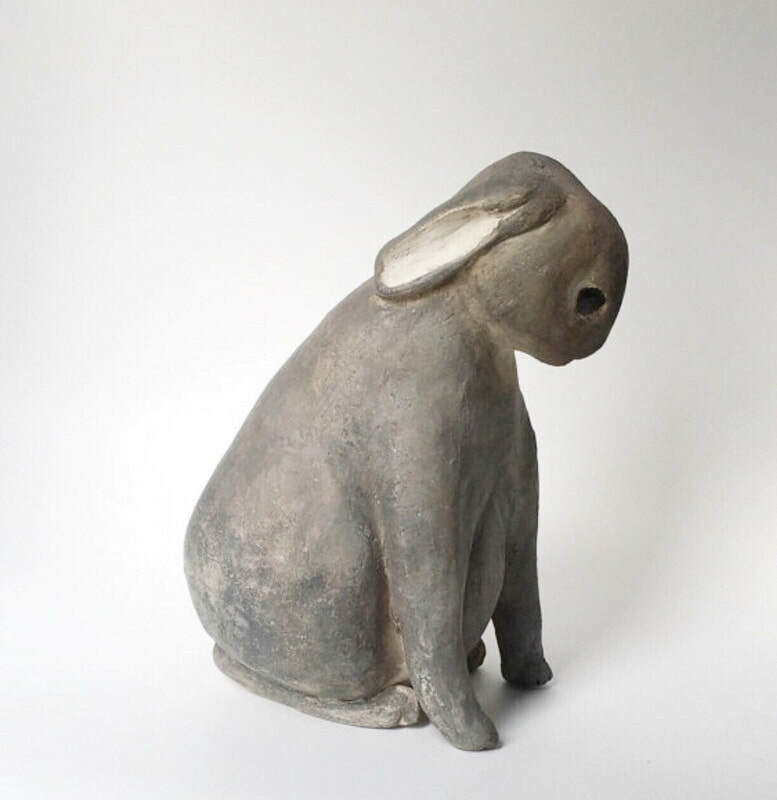 I am working on a few new things at the moment, maybe a new colour but still wood and rustic. At the moment its just trying to fit it around new orders. A Newbies Meetup, a masterclass in pricing, and a new Team Leader to start off 2019! We began the new year by welcoming our newer (or possibly shyer) team members to a special Newbies Meetup. It's not something we'd tried before but as Team Leaders we all know how scary it can be coming to your first meetup. We decided to see if there was a demand - and it proved very popular. The event was open to anyone who'd not been to a meetup before - whether or not they were a Team Member already. We hoped to encourage more people to join the team, and more Team Members to attend our meetups. The event took place on 21st January at Frederik's on Hope Street, and was well attended. It was lovely to put some faces to names, and great to meet some people who were just starting off on their Etsy journey too. Each Team Leader took responsibility for a quick "masterclass", and everyone could choose what they went to learn a bit more about. Jenny's Social Media workshop proved especially popular! We will definitely run similar events in the future - but we are keen to encourage new folk to come to our normal monthly meetups too - we love to see new faces! 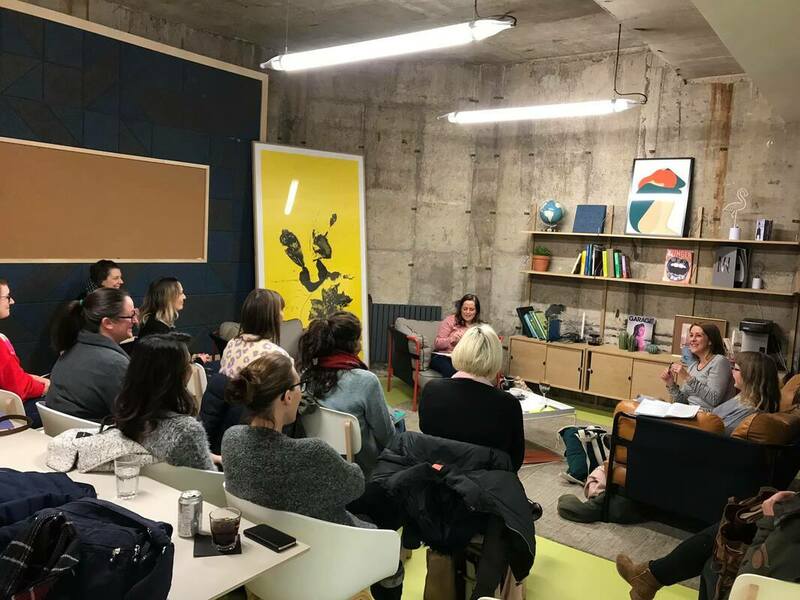 The first monthly meetup of 2019 was another evening event - on 31st January at the Tempest Building on Tithebarn Street - and was hosted by Natalie, Jenny and Jules in Becka's absence. Several of our newbie Team Members attended, which was fantastic! Our January theme was pricing, and Nat helped everyone to think of all the different factors that (should) affect our product pricing! There were a few things that everyone had overlooked, so learnings for all. Handouts were provided by Becka - and if you missed the meetup but still want some pricing guidance there's more info available here. And... just sneaking into my monthly roundup, cos I can't wait until the end of February... we're delighted to welcome a new Team Leader... Kate Chesters! She's been a super-positive force within the team for ages now, so it was a natural progression for her to help us out as a Team Leader. We are all super-excited to be working with her and hopefully she will bring us some fresh enthusiasm and ideas! Next meetup is our day-long Post Summit event on 23rd February, followed by our normal monthly meetup, 10.30am -12 noon Thursday 28th February. To book in please click here. Coral is predicted to be a trending colour this year. 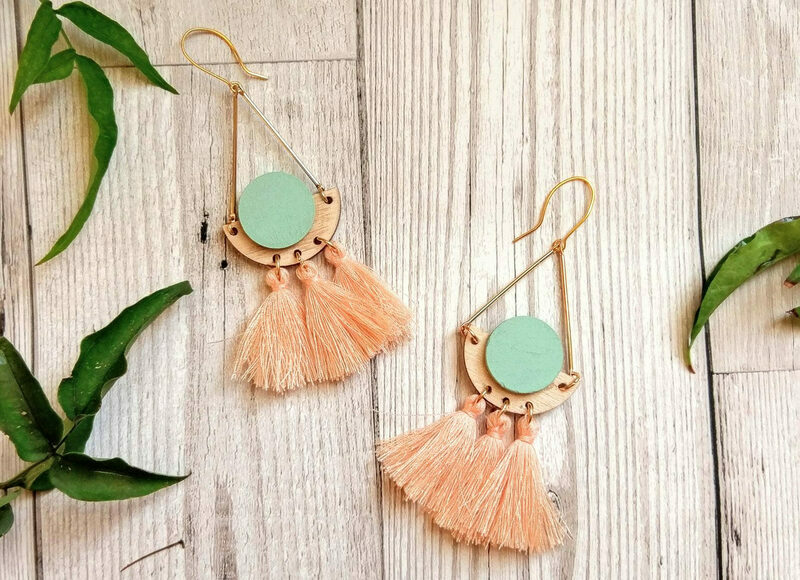 Here at the team, we are starting out softly softly, with some beautiful corals, teals and fresh Spring feels. This month, we chatted to Louise from Brady & Blue. Louise creates colourful handmade felt ball pom pom garlands and gifts. Tell us a bit about yourself and what you create? I'm Louise and I live in Liverpool with my husband and our little boy. My Etsy shop is Brady and Blue and I make pom pom garlands and anything felt ball related! I opened my shop in 2014 after trying for a family. I have always been creative and I loved giving homemade gifts to friends and family. I knew I wanted a job that would fit in around family life, so opening an Etsy shop gave me the perfect opportunity to do just that. 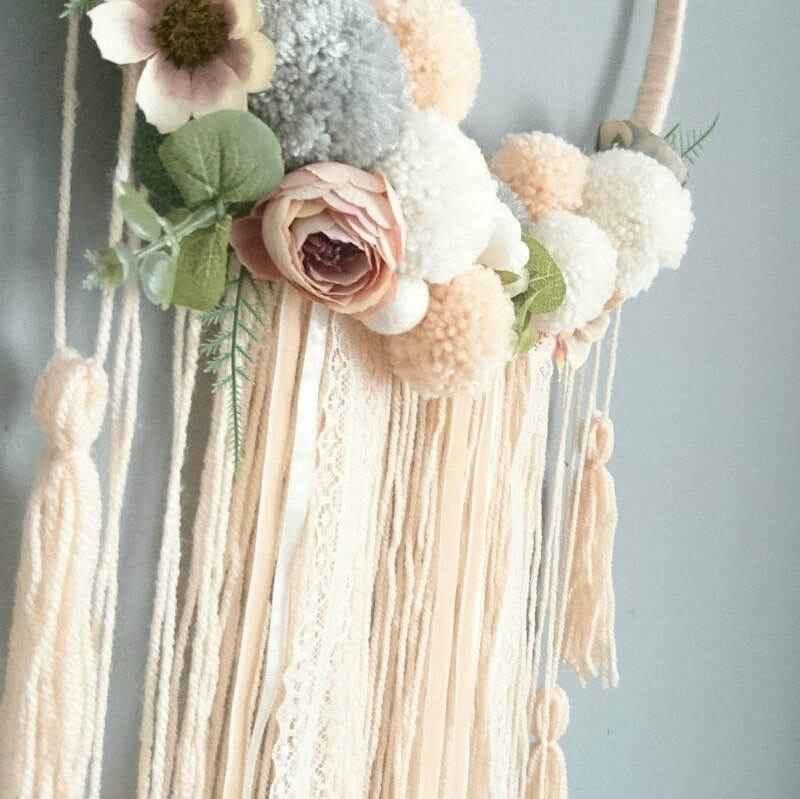 I started off making bunting and drawstring bags, but last year I also added pom pom garlands to my shop and I haven't looked back. I love them! It is a struggle! My family always comes first, so most of my work gets done in the evening after my little boy goes to bed. He will be starting school this year so that will definitely give me more time to concentrate on my business and hopefully I can then find a happy medium. ​Tell us a bit about where you work… Do you have a dedicated workspace, office or workshop? I am really lucky that we have a spare room in our house that is now crammed full of pom poms! I make all the garlands in there, but unfortunately it is not that big, so all my packaging still gets done on the dining room table. I don't! I am the most disorganised person I know and I'm very good at faffing! As I don't have much spare time during the day I just fit in what I can, when I can. Some days are very productive, others not so much! I make one garland at a time, then once all my orders are made, I take them downstairs and package them all up together. To be honest I always feel inspired after every Mersey Etsy Team meet up. It's great to catch up with other Etsy sellers and bounce ideas off each other, I always come away feeling motivated. Every time I make a new garland it becomes my favourite creation, until the next one comes along. So I don't really have a favourite, they all are! Every little milestone makes me so happy and this in turn has helped my business grow. Just recently, I reached 1800 sales on Etsy, which if you had asked me this time last year I would never have thought possible. I am so excited to see what the future holds. Knowing that my creations are in homes all around the world, hopefully bringing a little joy to their owners! I love going to a ballet class now and then. My husband listens to a wide range of music, so I normally just listen to whatever he has on. But I'm also quite happy to work in silence too! Go for it, don't be scared. If I can do it, anyone can! Just make sure you get some support. 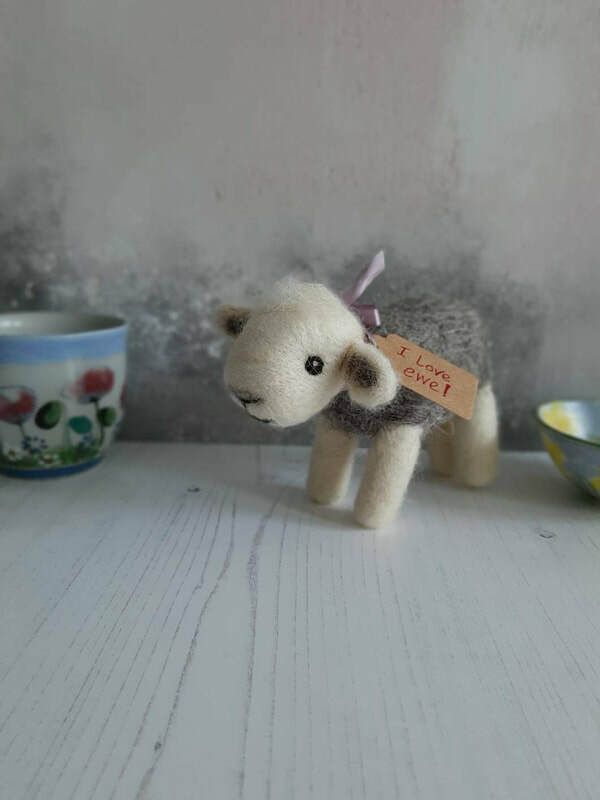 It can be very lonely working on your own, however, I was lucky enough to join the Merseyside Etsy Team which has put me in contact with other great sellers and I've made some lovely friends along the way too. My husband always says 'as long as you're happy!' So on that note - do what makes you happy, if you don't enjoy it, don't do it. Life's too short! I can't wink with my right eye! Be sure to head to BySamBull and check out her fabulously colourful illustrations. 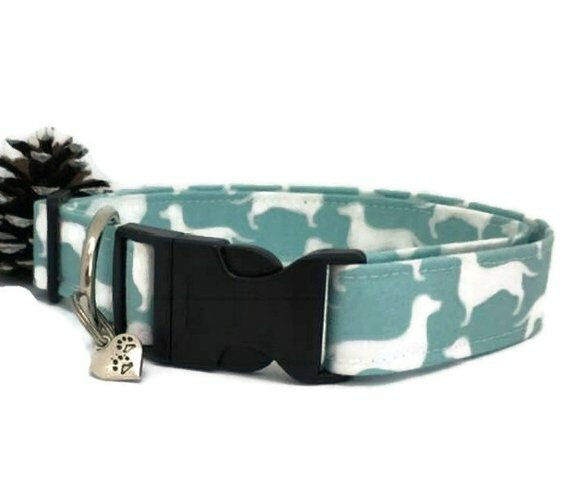 The PamperedPoochCo have everything you need for your canines friends; leashes, poop bag dispensers, bowties, bandanas, and of course collars. If I was a dog this is the one I would choose. StarCrossStitchLovers have a shop full of embroidery hoop art, cards, customised jeans and framed embroideries. 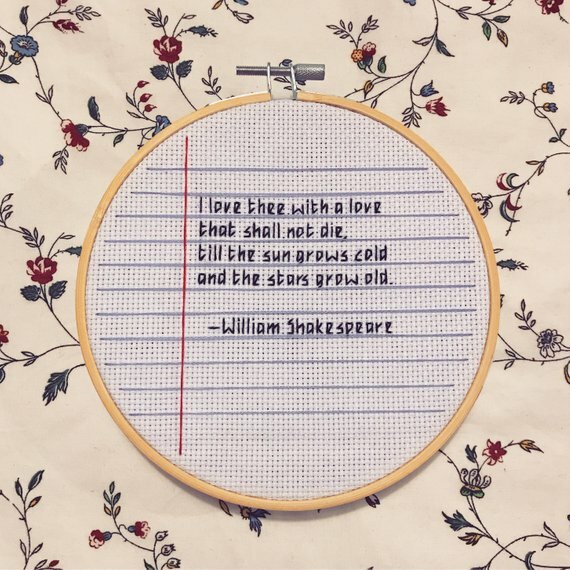 This quote from the Bard is perfect with Valentines coming up! Not your usual tea party! We love these cake stands made by LookingGlassVintageCo especially this wintery scened set. Be the host/ess with the most/ess with these flamingo and pineapple cake toppers from SarahHeartFeltGifts! 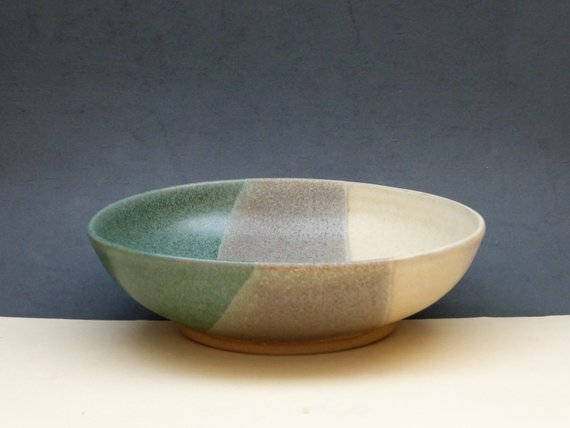 There's something about this bowl from RebeccaWoodsCeramics that makes me want to reach out and touch it. 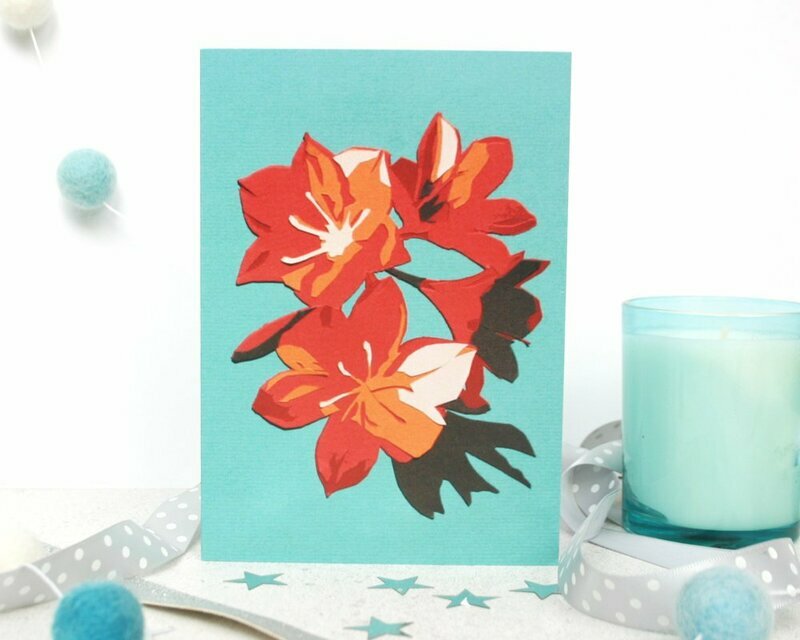 Finishing off with a blast of colour, AbbySumnerDesign creates risograph cards and prints in joyful hues, how could you resist?! Welcome to the team everyone! Let's start as we mean to go on and have a great 2019 together! We've had varying attendance at meetups, particularly in the latter half of 2018. As such, from January 2019 we've decided to reduce our regular meetups to once a month, and alternate them between mornings and evenings. Of course, if there's a demand then we can happily increase the frequency of meetups, but we do need to know that they will be well attended. We've got an idea of the content for each month already - check the schedule here. We're aware that lots of new Team Members can be intimidated by the prospect of walking into a room of more experienced Team Members (it's honestly not that scary, we promise). However in a bid to counter this apprehension we decided to hold a special Newbies Meetup on 21st January, in the evening. This free event is specially designed for Team Members who have never attended a meetup before, or perhaps for lapsed meetup attendees. We're happy for people who are not yet Team Members to attend, but they should be aware that the content will be fairly general, and is aimed at existing Etsy sellers. If you are interested then read more here. In October, Team Leader Natalie Bosworth was lucky enough to attend the EU Captains' Summit in Poland and she will be sharing the content of the summit with us in a special full-day meetup on Saturday 23rd February. Watch out for more details as we make arrangements for this event! We are also very aware that some Team Members aren't based in Liverpool, and as such we want to host a series of Meetups closer to them. We are planning a series of local meetups from March in various other locations - Warrington, Chester, Wirral and Southport. Again, watch this space for more information as we secure appropriate venues. The hope is, by coming out to more local venues and meeting more Team Members, that people will feel more comfortable in posting in the Facebook group, and perhaps even attending our main Meetups in Liverpool. We are keen to build the community feel of our Facebook group - as we do understand that not everyone can attend meetups, and we want to continue to support people who can't come to in-person events. We're making a special effort to post more "getting to know each other" type posts, we'd love you to join in; if you're a Team Member and you're not yet part of the group then we'd love to see you there - join the group here. We are keen that the Facebook group remains self-promotion-free, and we want to continue to develop a safe, friendly and positive space - welcoming everyone's valuable contributions. We have big plans for this blog, with myself and each of the Team Leaders taking responsibility for various different blog posts. Please keep reading and sharing the links! We will continue to share Team Members' products on our Social Media, with particular focus on Instagram (as that's proved most successful in the past). Team Leader Jenny is currently doing an amazing job here - please do continue to interact with our team Instagram. We try to be as fair as possible with whose photos we share, but please use #merseyetsyteam on completed products to make it easier for us to find your posts. If you follow this hashtag then you'll see a whole stream of amazing local designer-makers and sellers' products. Provisional dates and venues of all meetups are provided in our Book Onto a Meetup page, and this will be updated regularly. I'd like to take the opportunity to say a huge and heartfelt thank you to everyone who contributes to our growing Merseyside Etsy community, especially our Team Leaders who give their time freely to us all. I hope that we've planned something for everyone, and I look forward to seeing you all - and hopefully meeting lots of new faces too - in the coming year! 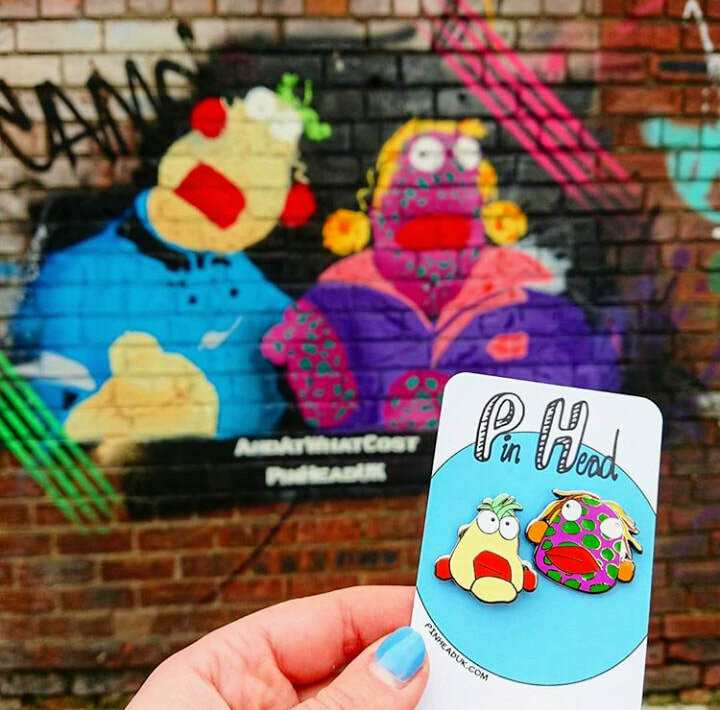 This month, we've been chatting to Amy, the creator and designer of Pin Head Pins. 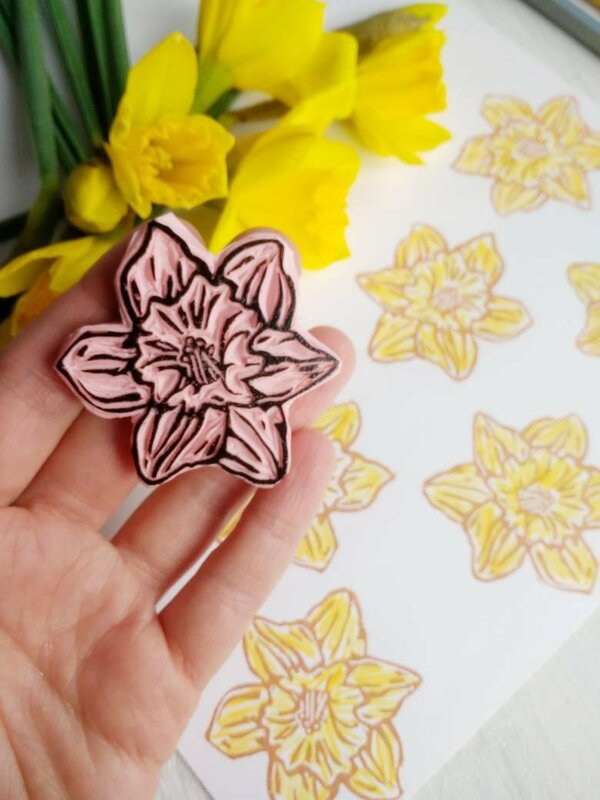 My name is Amy, I’m 34, I’m vegan and I design and supply enamel pin badges. My business is called Pin Head. 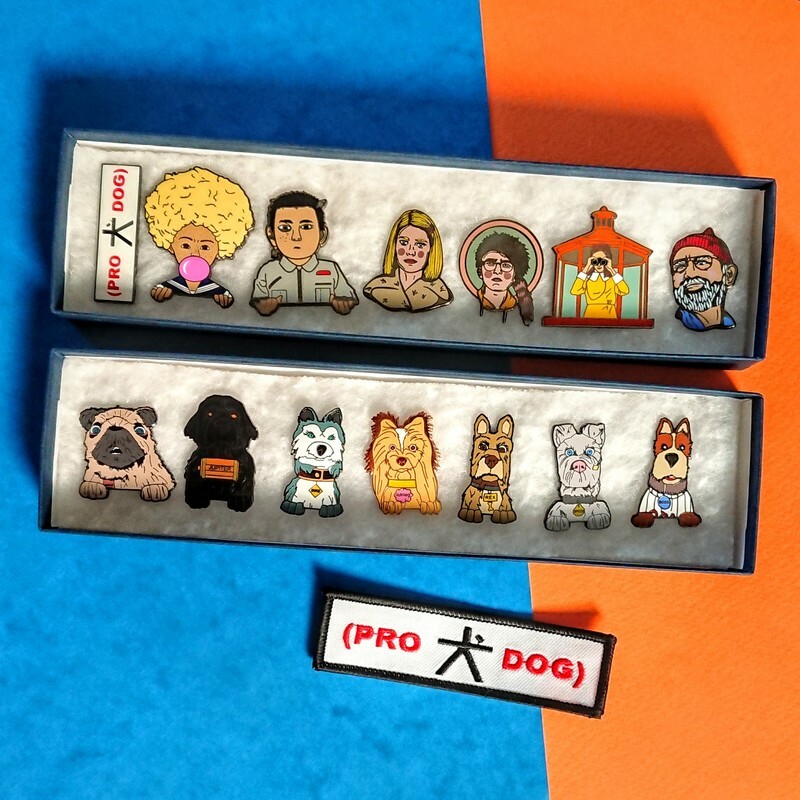 I sell my own designs and collaboration projects on Etsy and also design and supply businesses and individuals with bulk orders of pins for their own needs. I opened my Etsy shop January 2016 after a year of using Big Cartel (another e-commerce platform) I was recommended Etsy by some of my peers who had success with their pins on there. 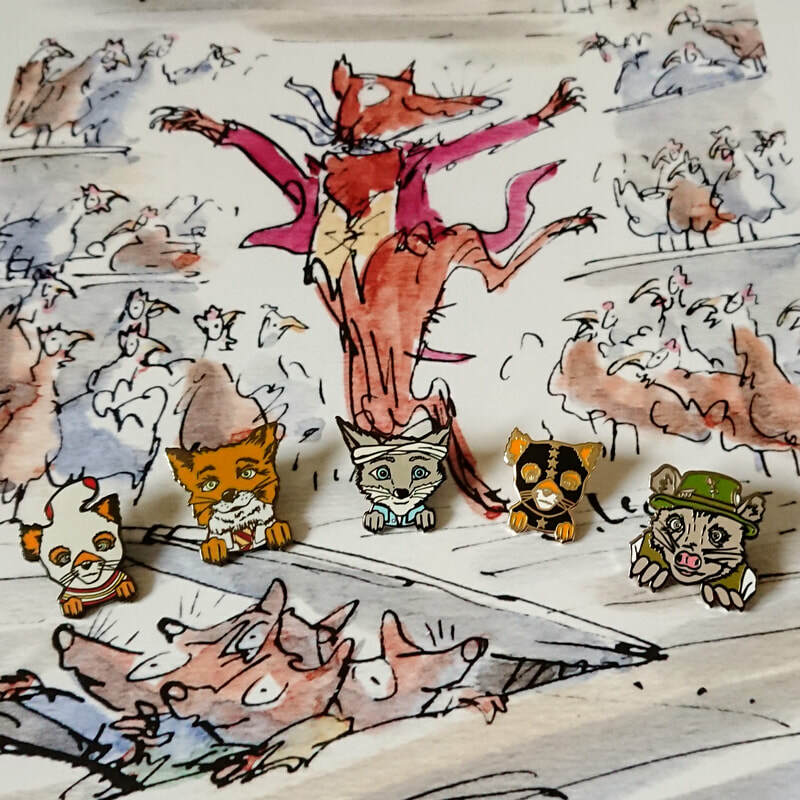 When I started Pin Head there was a bit of controversy over pin makers using Etsy because they’re not handmade but then Etsy moved the goal posts to allow pin designers to trade. I tried to run two shops at the same time at first but that was far too much so I opted to stick with Etsy and close down my Big Cartel. The fees are much higher but the traffic is fab. How do you balance full time work and your creative business? or How do you balance your business and personal time? I’m actually doing a full time degree in LJMU in Marketing. It’s really tough to keep the right balance especially when the Pin Head stuff seems much more exciting so my studies tend to be the first thing to suffer. Luckily I’ve got a little team of bank staff. One designer who can do some commission work when I have assignments due in and someone to help me pack at really busy times when the Etsy shop goes a bit crazy. For instance my shop took 7x more money than a usual month in April this year, I hadn’t expected this at all. April is also when all my assignments were due in. I am so thankful to have good reliable friends I can employ to help so I don’t need to shut down the shop at times like this. I have an office at home which is dedicated to my business. I’m lucky to have such a nice bright space which for now is just big enough for all my supplies and some space for packing. I was using the desk in there for my uni work too but it’s so hard to compartmentalise so I’m visiting the library as often as possible to try and study in a pin-free zone! I am extremely organic in the way I work. I often fantasise about being organised and having a routine but it just goes against every fibre in me. I work in quite a chaotic and impulsive way but I work best trial and error. I’m pretty good at getting over failures and just cracking on. Since I have been juggling many commissions at once I’ve started using monday.com which is project management software. I can add each new lead as they make an enquiry, add the artwork they’ve sent and keep a log of who has paid and who has received their pins etc. This is pretty organised of me I suppose but I hate flicking through emails and this stops me having to do that so I’m happy. For Etsy I check it daily so just judge when is best to do a post run based on how my orders list is looking. I don’t do certain jobs on certain days or at certain times. I work a lot with other people so sometimes the ideas come to me and I just grab them. I’m always working on different projects alongside one another. I get ideas and decide to run with them at the most inconvenient times sometimes but I have to go with instincts. I include my online marketing as a project too as this is just another creative outlet really. Decent photos, well written, enticing descriptions and engaging with your potential customers. In fact that’s one of the biggest projects for me. I am very into pop culture, I worked in HMV for 9 years and am such a film and cartoon nerd. I love animals too! The thing that inspires me to keep being creative now though is the reaction from people. The feeling of making someone else smile because they love your artwork is priceless and a little bit addictive to be honest. I get the most wonderful positive feedback though Etsy reviews, when people repost on instagram and also in person when I sell at fairs and markets. It just makes me want to push myself to see what else I can create that other people will appreciate. 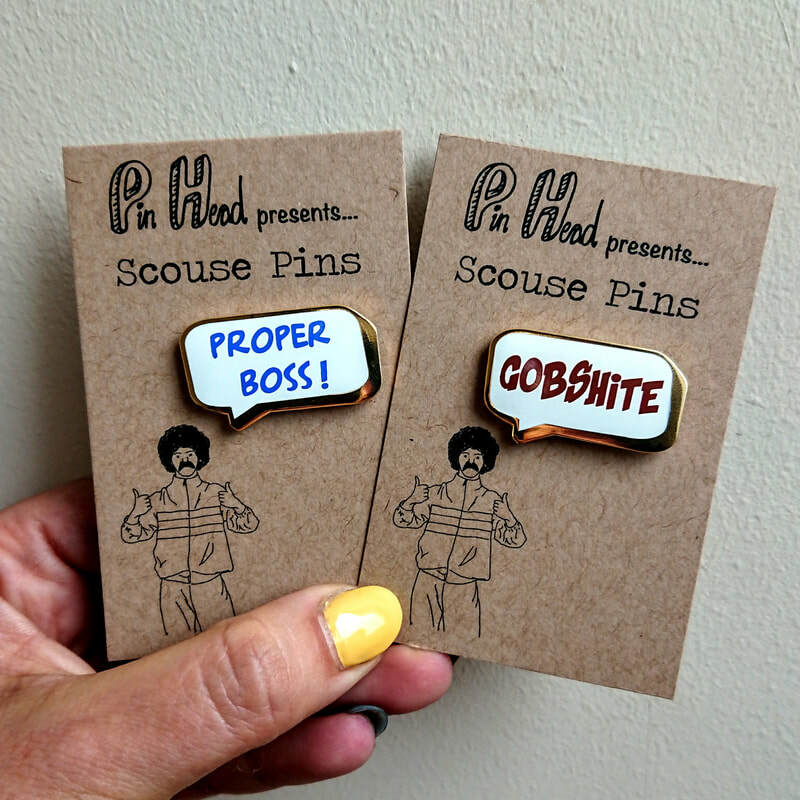 At the moment I love the Scouse pins I’ve created. So far I have a Gobshite and a Proper Boss! pin but I want to extend the range. The designs are fairly simple but it’s fun and nostalgic and it’s a little reminder piece of Liverpool. I’m going to be able to do some fun marketing with it too. I am a self taught graphic designer. If you could see my first attempts back in 2015 compared to now you’d laugh. There were bits I needed to get other people to do back then because I had no confidence. I just wanted to stick to my pencils and sharpies. Fast forward to this week when the Bongo’s Bingo pins are released. 9 original designs by me, including faces and everything! I’m so proud of myself for pulling it off and seeing the positive response has been my reward. I am very much into music and attend many gigs and festivals. I love to travel. I’m about to go to Africa for the first time next month which is very exciting. I will go on a safari. I’ve recently discovered The Guilty Feminist podcast and started from the beginning. What a relief and joy to listen to, so funny. I love Adam Buxton and also Infinite Monkey Cage with Brian Cox and Robin Ince. It’s a kind light hearted science show full of fun facts and debate with different guests. Music wise I’ve just discovered a band from Soweto called BCUC the beats are outstanding it just makes you want to dance around a fire and lose yourself. My advice to anyone opening an Etsy shop is not to rely on Etsy to find your customers. You need to know who your product is targeted at and go find those people, go and join facebook groups, get yourself immersed in the communities that already exist where the chances of people appreciating your work are much higher. Also even though Etsy is worldwide and you will sell world-wide don’t underestimate local support get involved with local maker communities and small business networks. It helps to feel like you’re all in this together and also people in the same boat as you are about 70% more likely to buy from you. Soooooo many of my customers are other Etsy sellers or small business owners. Don’t try and be everything. Confusion is a massive barrier when trying to get sales. 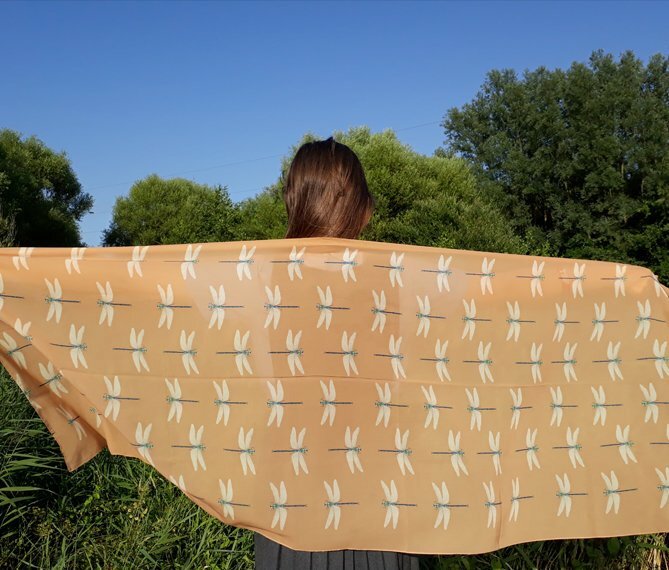 People see contrasting products together, either in person or on Etsy and it will put them off. Try not to satisfy lots of different target audiences just pick one and run with that. I love spicy food, like really really hot, Phall curry, Naga chilli type hot! I’m always up for a chilli challenge. Just in time for us last minute Christmas shoppers here's some of the brand new shops who've joined the team last month! 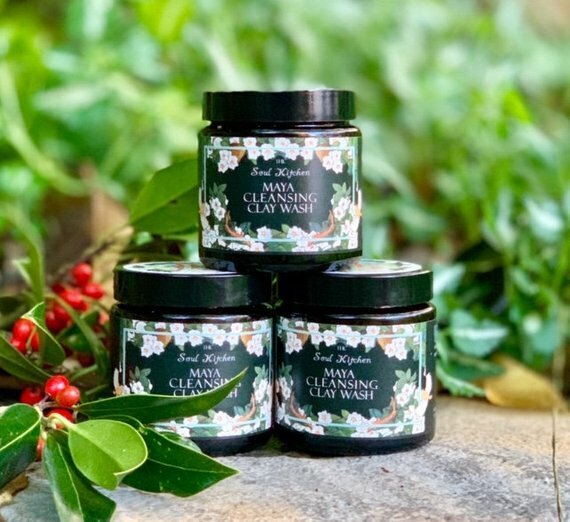 You can't beat a bit of pampering at Christmas and we're loving these handmade, cruelty free goodies from Soul Kitchen Skincare. 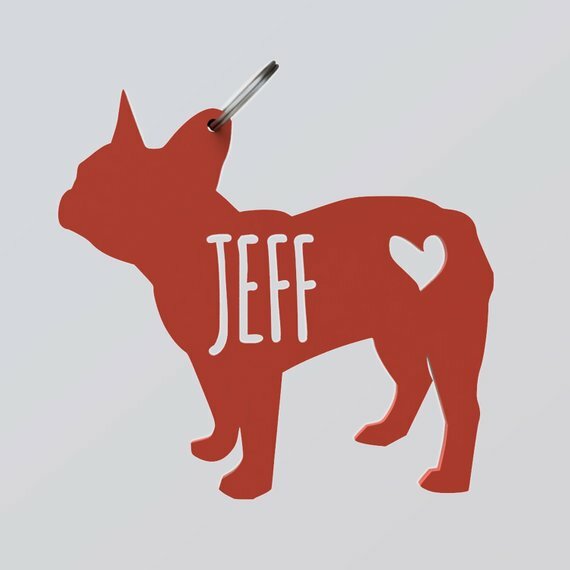 One for the pet lovers, Jeff and Co make personalised keyrings for all the dog mums and dads out there. 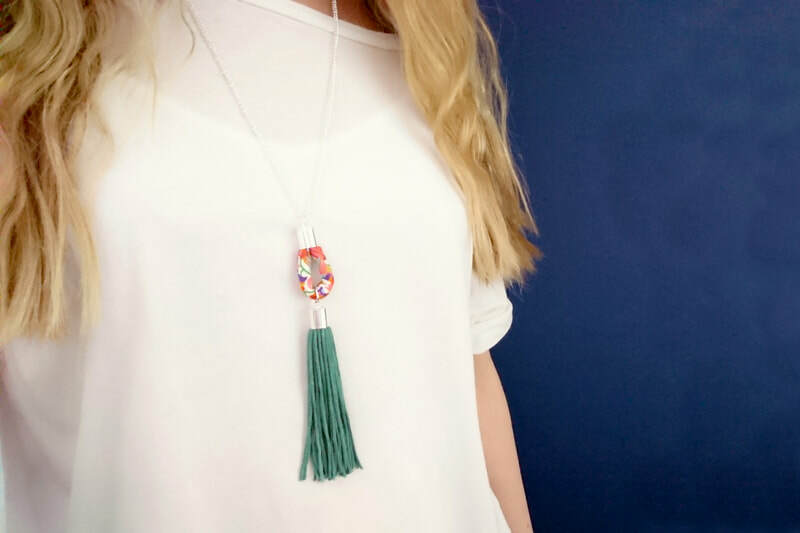 There's colour and texture in abundance at Katie Gowers Design. 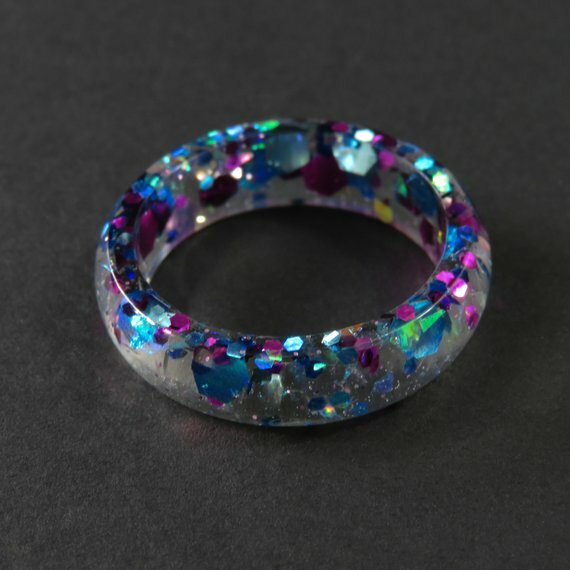 Her kumihimo braided bracelets and sparkly resin rings are great stocking fillers. We love these cute little robin lads from new teamie Danielle Lisa. 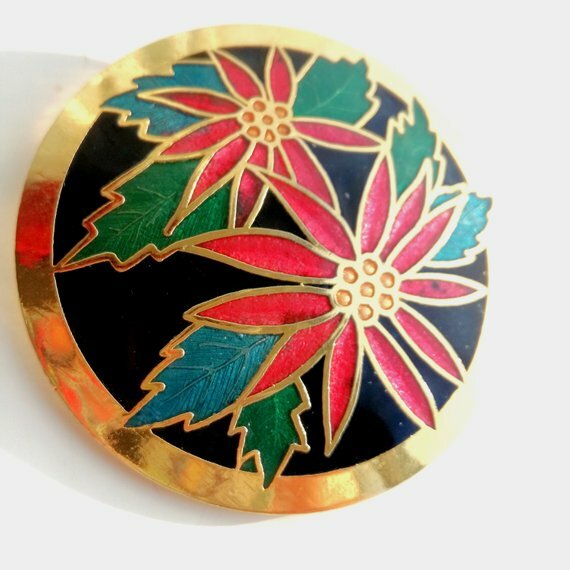 Vintage is a great way to go if you want a really unique present this season, and Isobel Vintage Jewels have some beautiful pieces that are perfect for gifting. Great to have you with us guys! Here's to a successful Christmas!